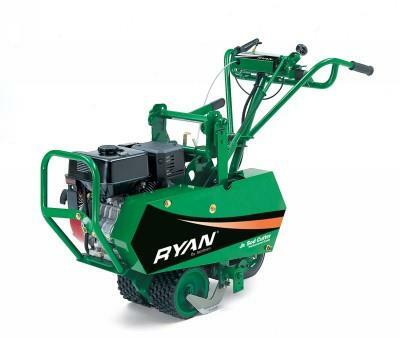 Heavy duty sodcutter that will cut a 18" strip of sod, is self propelled and can be set to various depths. Sod is left on ground in 1 long strip. Cuts up to 8000 sq. ft. per hour. Sod softened by water will increase production speed. Weight: 150 kgs. * Please call us for any questions on our commercial sodcutter 18 inch cut rentals in Calgary, Alberta.